Malware is not the only threat to Mac Os as vulnerable Wi-Fi networks and malicious websites can also threaten your safety. Recently, the Mac has become more of a target than it has been in the past because of the growing popularity of the Mac along with the advances in viruses and malware. Platform-focused threats are presently complemented by web-borne attacks trying to gain control of your cloud services. The modern Mac OS is based on a solid architecture, with inbuilt security features that play a moderately active role in blocking malware. However, the explosive growth of the web and our dependence on cloud services has completely changed the security landscape. Thus, Mac computers are no longer considered to be ‘virus-proof’ and antivirus for Mac has thus become a necessity. Protection against these threats has indeed become an essential factor now in order to prevent file corruption, identity theft or interception of your credit card details. 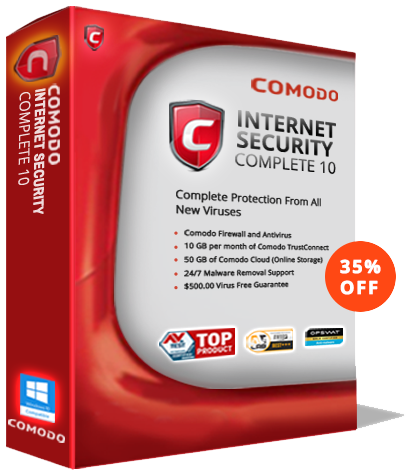 To protect your Mac Os from malware and to help in malware removal, you can now download Comodo Free Mac Antivirus that provides modern virus protection to your Mac OS computer with complete virus scanning. Mac Os users will find it more convenient to deal with malware removal if they adopt a combination of security software. Comodo offers this type of a security suite by incorporating cloud-based antivirus, Spyware scanning, firewall, and some of the advanced techniques like Auto Sandbox Technology, Defense + technology, and much more. All these together make up the Internet Security Suite ideal for malware removal in Mac Os. The auto-sandboxing feature permits the security product to outsmart several other security products as it helps in isolating the suspicious files from disturbing the normal operations of the system. This indeed enables the computer to remain protected even from the most threatening zero-day threats.